One, because it’s Moon Duo. Two, because Sala Rossa has this kind of secret circus vibe that fits Moon Duo’s long drawn out droning jams just perfectly. Touting a new album, Occult Architecture Volume 1 and rocking the stage of La Sala Rossa like it was a jam at the end of the world, Occult Architecture Volume 1 is only the first part (obviously) in a crazy chronicle of rock n’ roll. As “psychedelia” has kind of become a catch-all for anyone wearing a colourful shirt and playing a synthesizer now, it will have little value to you if I say that Moon Duo is “psychedelic.” And yet, there are some things that are actually incredibly psychedelic, regardless of how that phrase has been watered down by music writers. 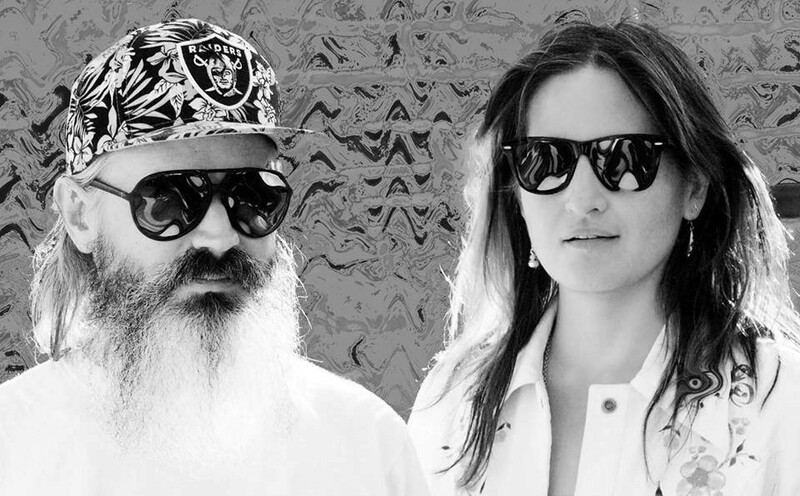 Stream Occult Architecture Vol 1 from Moon Duo right here! An example of some things that are inherently psychedelic: When humans close our eyes, we experience different realities that we call dreams. Or how about the fact that a cratered rock in the sky controls our tides and has inspired one particular band (okay, a lot of bands) enough that they take their name from this lunar anomaly? Alright, I’m getting pedantic…But good music should have such an effect on you, the effect of new and wondrous thoughts that cause you to see the wildness of life for what it is: wild. That Moon Duo was able to give that gift to us, the many-limbed beast in front of the stage, certainly made my Tuesday night. Moon Duo, please come rock us back to that frenzied, lunar, psychedelic state again, when Occult Architecture Volume 2 is unleashed (FYI, it will be in MAY)! A big thank you to Blue Skies Turn Black for welcoming myself and Best Kept MTL to this event. Catch more stellar events from Blue Skies Turn Black right here. Follow along with Moon Duo on social media and stay in the loop for Occult Architecture Vol 2 out on May 5!